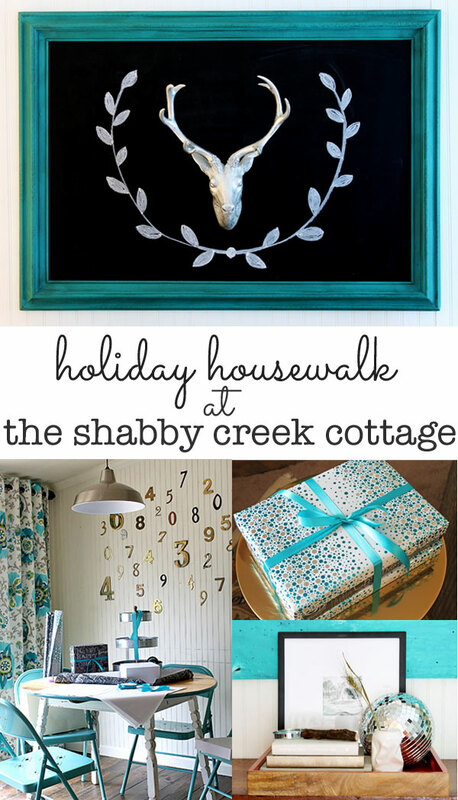 Welcome to my 2013 Christmas Tour of Homes stop on the Holiday Housewalk! I’m so excited to be joining tons of beautiful blogger homes this week to spread a little Christmas decorating cheer. 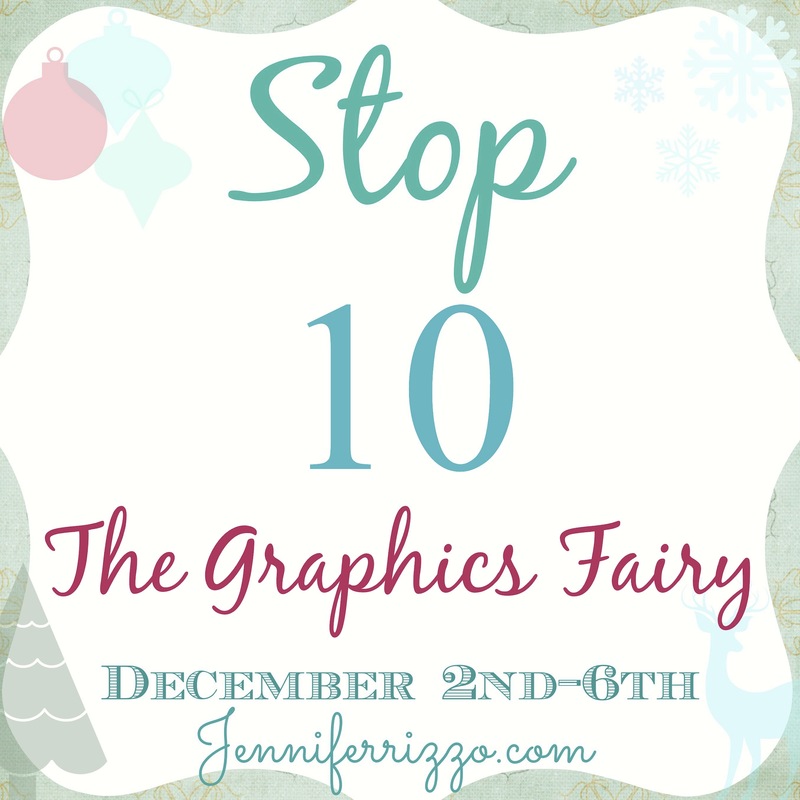 If you’re just now joining in on the tour, be sure to start at Jennifer Rizzo’s blog (our lovely host) and take the tour from start to finish. 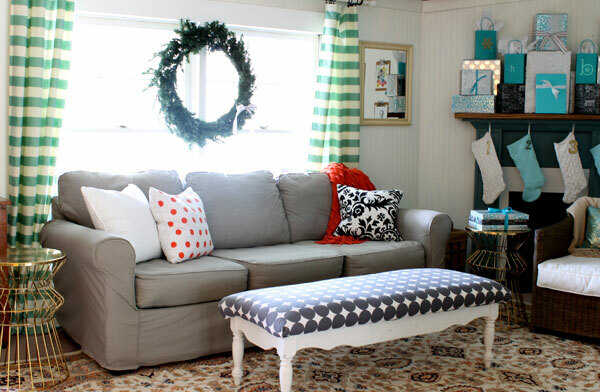 If you’re not in the mood to decorate yet, this will definitely get your Christmas creative juices flowing! And, if you’re already making your way through the tour, thanks for stopping by from my good friend at The Graphics Fairy. Isn’t her house to die for? It’s seriously one of my most favorite homes ever! This entire year has been about learning to embrace simplicity for me. Whether it’s learning how to declutter my day, or tackling freezer meals, I’ve been striving to make the most of my time and energy. So, just like the other 11 months of this year, Christmas decorating was all about keeping it easy. No garlands to wrestle, no overbearing amounts of glitter everywhere. 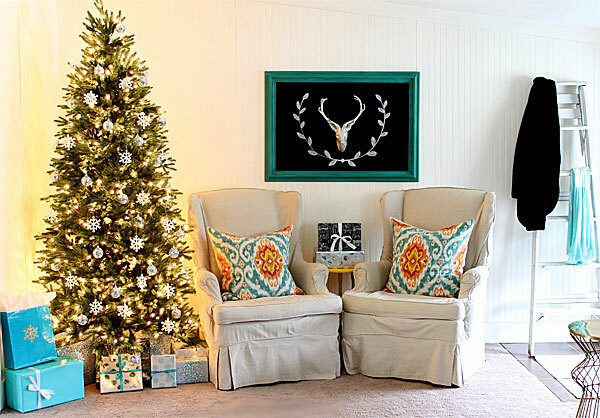 Plain, simple, classic decorating. 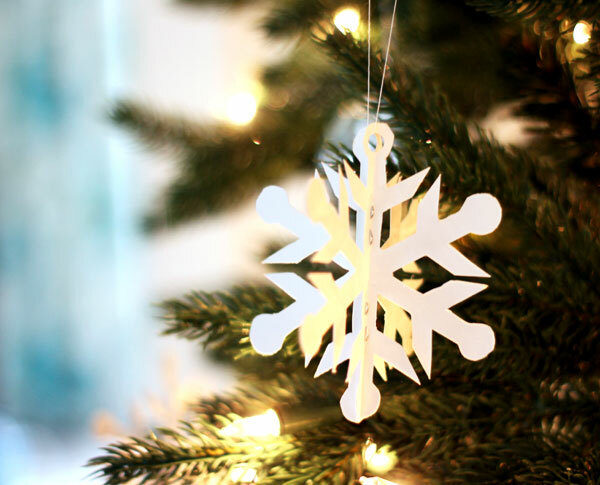 I didn’t even craft much this year, just some simple snowflake ornaments, along with a few disco balls on a pre-lit tree was simple and still lovely. For my family, this season is all about spending time together and enjoying a slower holiday. And I can’t tell you how much it makes me ridiculously happy. Not every inch is covered in the season, rearranging my everyday decor I love is just as important. But a little rearranging did happen, which was pure coincidence, because sometimes you find a chair so fabulous and so cheap that it would be a sin not to buy it. Hello, $100 clearance chair. I love you. I guess my theme (if I’ve gotta have one) was gifts galore. If I’ve gotta wrap them, I’m gonna enjoy them. Once my loved ones have received their presents (because all the boxes you see are really gifts, yo! ), the only clean up this season will be taking down the tree. Could holiday decorating be any easier? Wrapping gifts with care is one of my favorite parts of Christmas. 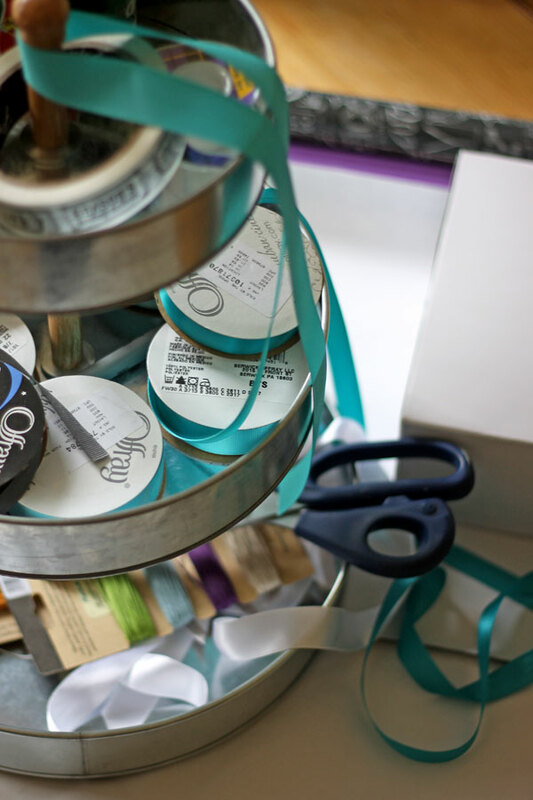 I love buying pretty paper, fine ribbons and taking time to make the gift I bought with so much love seem really important – because it is! I so hope you enjoyed my Christmas Tour of Homes on the Holiday Housewalk this year. And, I truly hope you get to enjoy the simple things this season! 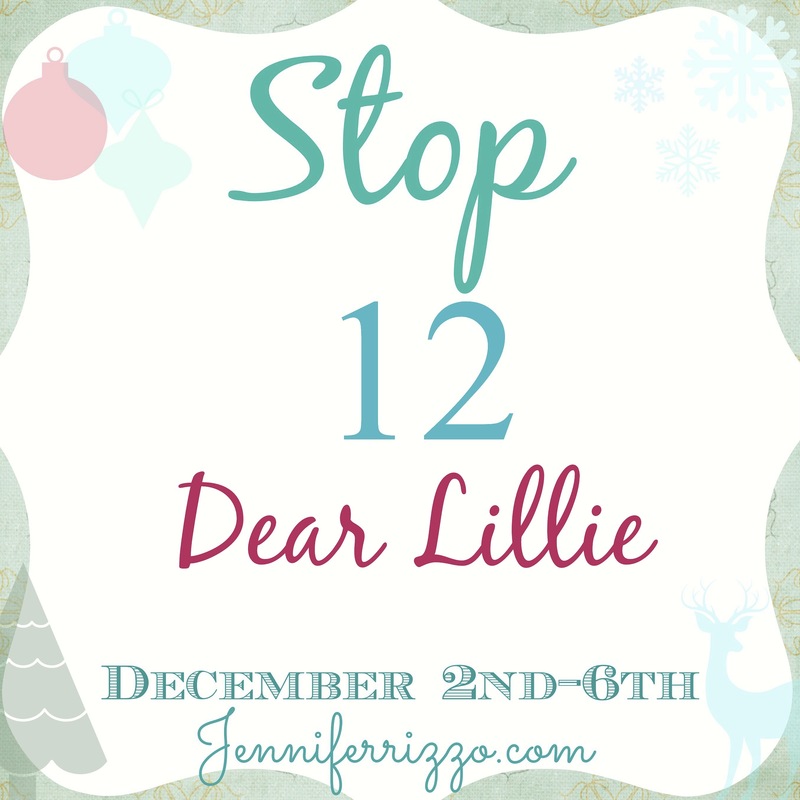 Visit the next home on the tour at Dear Lillie to see more Christmas decorating magic! Gina…everything looks TOOOOOOOOOOOOOOOOOOOOOOOOOOTALLY Amazing!!!!! I mean awesome from top to bottom! But those aqua folding chairs…over the top FAB…I mean it was like they knew you needed them you know! 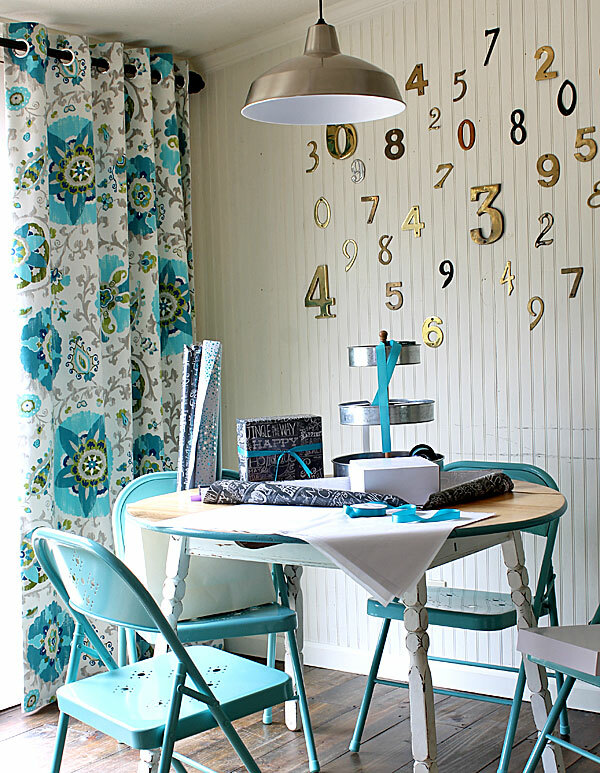 The decor is just like you …a little bit vintage numbers and a little bit disco ball!!!!! : ) LOVE LOVE LOVE it!!!! hugs!!!!! oh an by the way…kitchen curtains ROCK…Jersey style : ) LOL!!!! Your home is beautiful! 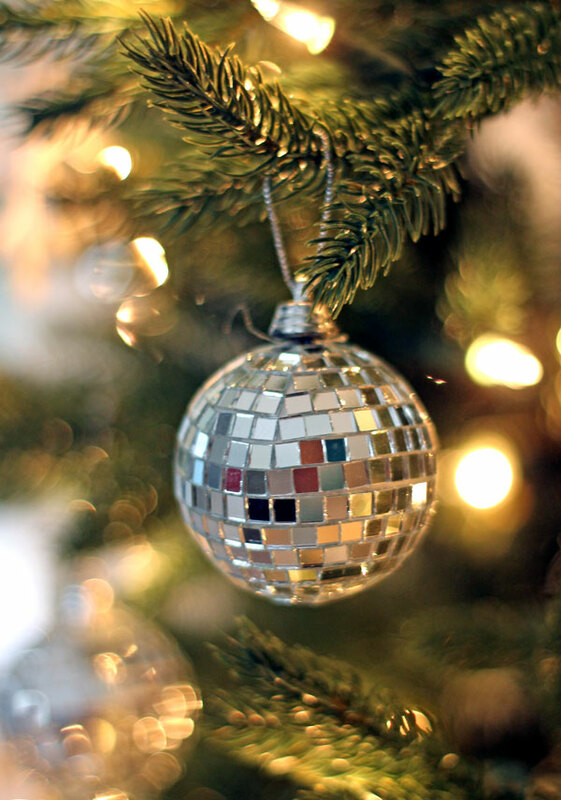 I love the mirror balls and what a genius idea with the gifts on the mantle Love it! You did a wonderful job! You home looks great Gina! I love the simple touches! 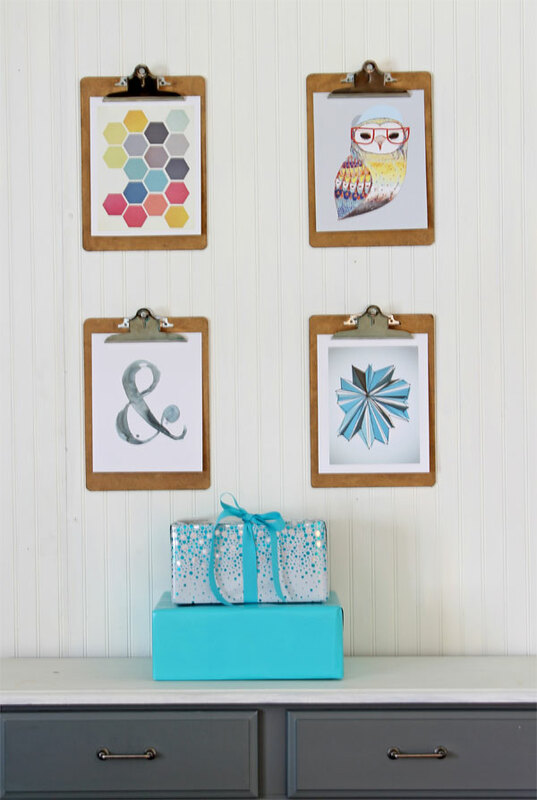 I think that idea of displaying the gift as decor is brilliant and I think those frog tape wreaths totally rock! thank you so much for sharing your beautiful home with us! I think it’s perfect! Your home is gorgeous and I just love all the color! 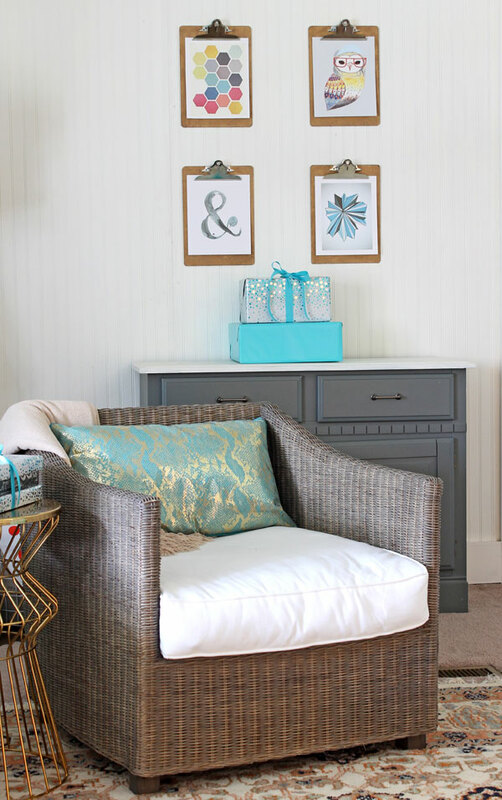 love those chairs together…the entire vignette is beautiful! Such a beautiful home tour! Thank you, for sharing your home and wonderful creations! 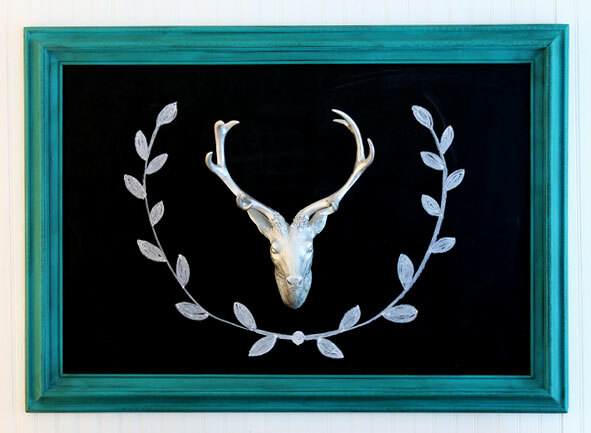 I love all of the touches of blue and your handmade decor! Beautiful job Gina! Everything looks so beautiful and bright, Gina! I hope you have a very Merry Christmas! All those aqua touches are beautiful. I especially love your pillows that have aqua in them. All very nicely done! Thanks for sharing. love all the window panels in your house! so much color and personality! The black gift wrap with chalk writing on it is awesome! PERFECTION. That is all. ;} LOVE it!!!! Gina, your home is looking totally adorable. I love it! Thanks for the Christmas tour, it is so fun being a part of this with you and all the other amazing ladies who inspire me! It’s beautiful Gina!!! I love your Reindeer Art and all your gorgeous curtains!! Fabulous! great tour! 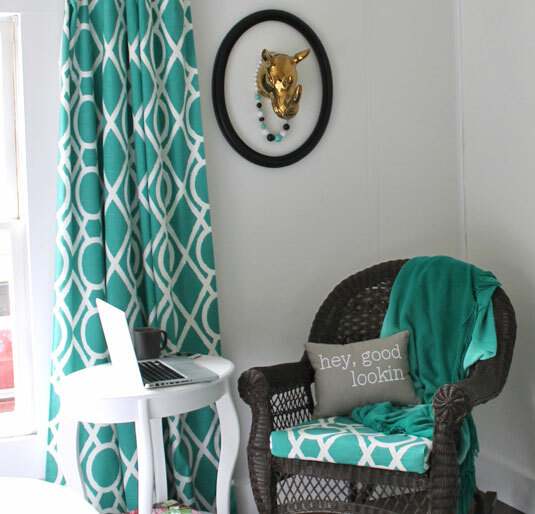 I love that you kept your decorating simple…I especially LOVE your curtain fabrics – looks Great!! So pretty Gina and I love your bright blues/greens. Such a great pop of color 🙂 I love how you set up the two chairs with those fun pillows. Super cool! 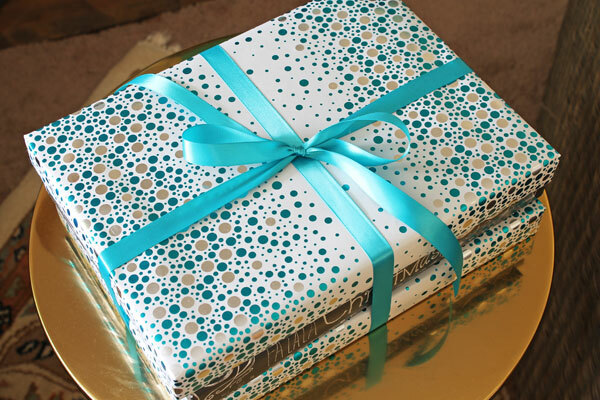 Wonderful colorful touches and agree on the pretty wrapping! Happy Holidays! Love your style!…thanks for sharing and Merry Christmas! Gina – it is STUNNING! The mantel is amazing, and I think that little disco ball vignette photo is my favorite detail. 🙂 Gorgeous job, my friend! Love your home and decorating! Could you tell me where you bought your gray slip cover for your couch? It’ is perfect. Thanks. 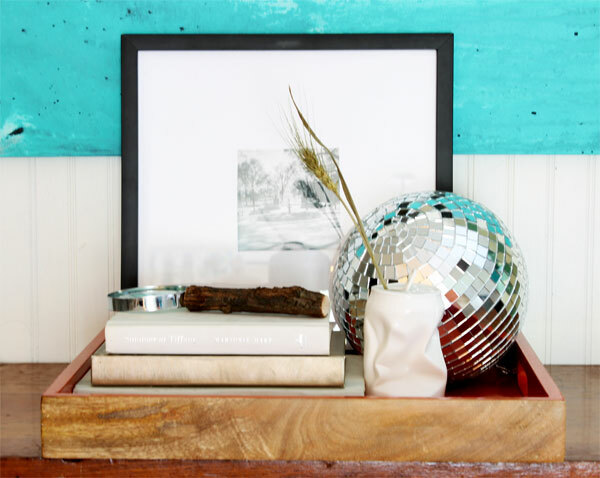 I love all of the turquoise and teal in your home… just gorgeous! Gina, it looks beautiful! I love everything. 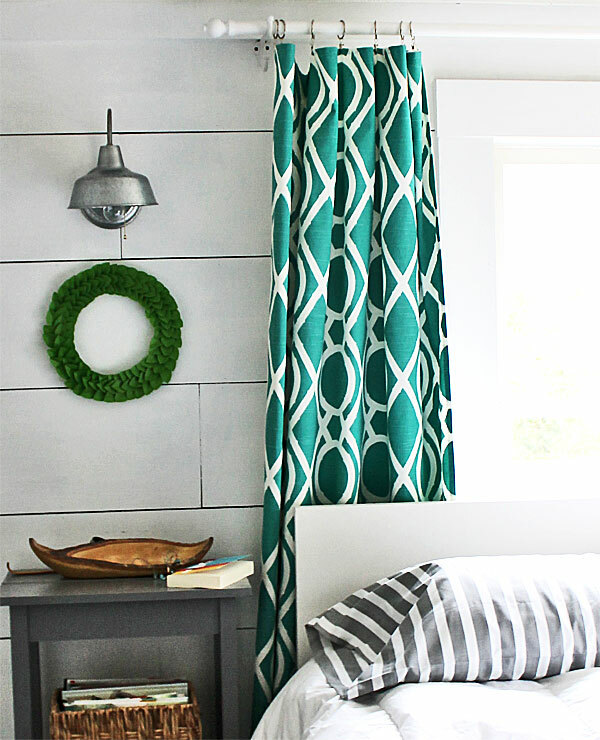 Like you, I tend to avoid decorating in bedrooms, BUT I am in love with your addition of the wreaths in your bedroom. I will definitely add a little something to our bedroom next year after seeing what you did. Thanks for sharing the tour of your home with us! Sooo beautiful Gina! Simple, elegant, modern and rustic! Ooh how I love your holiday home! Thanks so much! I got it at Lowe’s a few weeks ago. I am here with the Housewalk. I saw your house yesterday and have been thinking about it all day today. Your desire to simplify stuck with me — and your house is beautiful! I love what you did with your home! It’s the perfect amount of holiday decor. BUT YOUR DRAPES! OMG, they are all so gorgeous! Did you make them yourself? If so, would you mind sharing the name/manufacturer of the fabric? Your color scheme with the sea tones are my favorite colors, and the fabric your drapes are made out of just caught my eye. 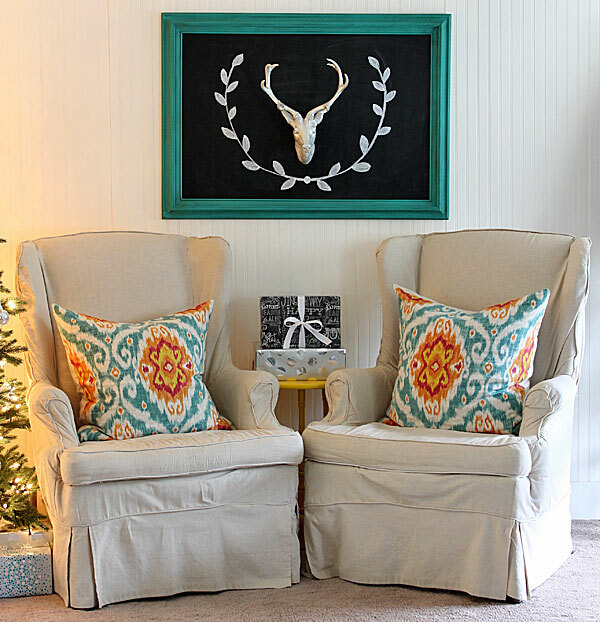 Also, I’m loving your framed deer head and rhino head, those are so whimsical! Thank you! 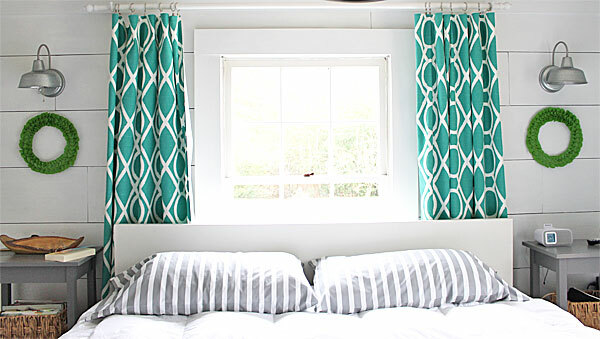 The emerald drapes in my bedroom is a Robert Allen fabric (bamboo lattice in pool) . The kitchen drapes are a P. Kauffman print – and both are from OnlineFabricStore.net. 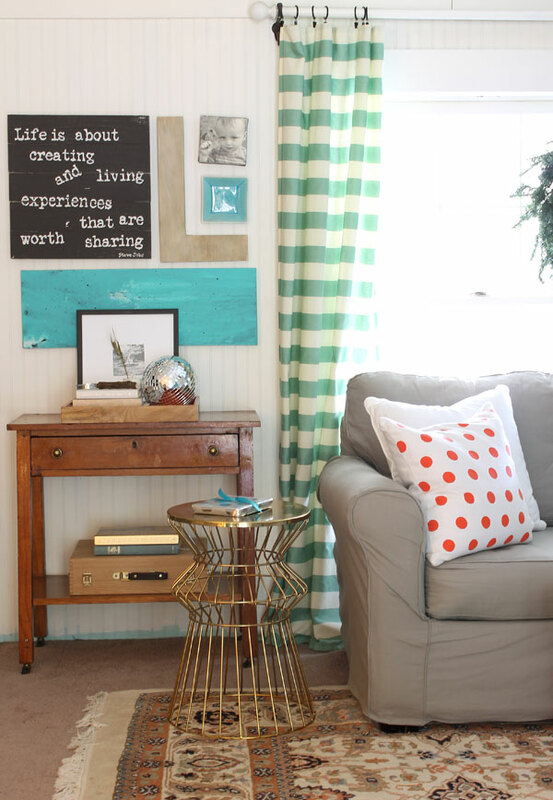 The living room fabric was bought at a local store, and it’s been so long ago I’ve forgotten the name – oops! Wow. This house is gorgeous. Can I come live in your house? Is it bad that my favorite piece is that “Hey, good lookin” pillow? Love it all. Your house looks wonderful! Not overdone but it still looks like Christmas, perfect. I pinned several pictures, I just love it. Great tour! Simplicity never looked so good! Love what you did to bring the season in. Love your hone. Holiday joy to you and your family. I am in LOVE with that number wall and your bedroom! So fun! Thanks so much for sharing your space, Gina! I love it and your idea of decorating with your presents is genius ! What a lovely home tour!! The colors are so fun! Merry Christmas! Beautiful home!! 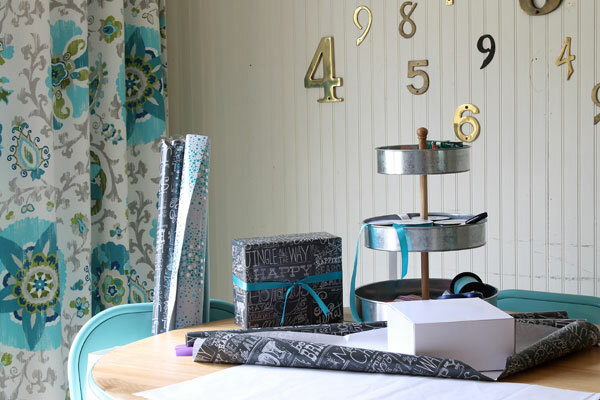 Can I ask where you got that awesome chalkboard print wrapping paper? Love it!! Target 🙂 Look in the regular gift wrap area – not the Christmas area. Fun, colorful and gorgeous! Love it! Gina, I have to tell you I’ve been to your site many-a time and haven’t commented, BUT I think your home is adorable! I LOVE all of it! You are truly talented and don’t just copy-cat everyone else’s stuff 🙂 I think what I like MOST about your Christmas décor is that your gifts are REAL!!!! YAY for simple, beautiful AND practical! 😉 Anyhow, I LOVE your home and your talent! Merry Christmas!!! Your holiday home is so festive and fun. I love the colors!